I just watched the Netflix film starring actress Sanaa Lathan. And while I love the message of self-love and acceptance, I’m just going to go ahead and say it. You don’t have to cut off all your hair to come to terms with who you are and how you look. That was character Violet Jones’ journey in ‘Nappily Ever After.’ It doesn’t have to be yours. My natural hair is a blend of a lot of different coily, curly and magical strands, mainly 4C for those of us who speak natural hair. I came to appreciate it for the very thing that makes my hair a struggle to maintain – its texture. It allows me to do a bunch of different styles I just couldn’t pull off with my relaxed hair that often looked thin and flat. But when my son, Donovan, was born, I struggled to find the beauty in my mane. I was exhausted all the time, and my hair was the last thing I wanted to worry about. I don’t have the head shape to go bald, so I traded the long hair regiments of my pre-baby days for quick, cute and easy styles. Honeycomb mom Jerusha Washington said after she gave birth the last thing she was worried about was combing her hair. “I probably slapped a scarf or headband on for the first three months,” she said. OK, so we don’t really recommend you go three months or even one week without washing and combing your hair. 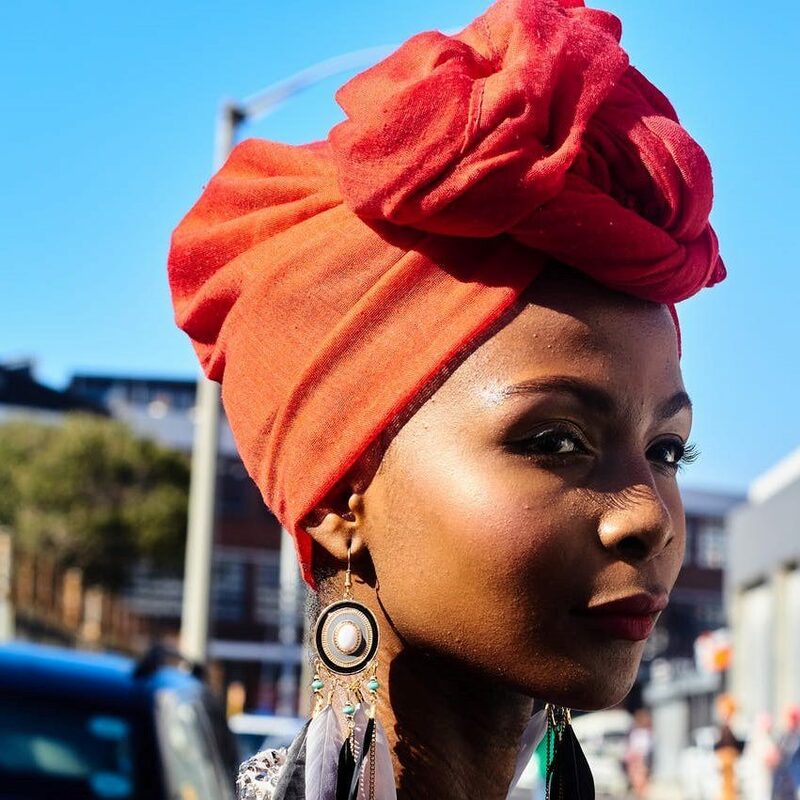 But with minimal maintenance, you can totally get by with a headscarf the rest of the time. The company Wrap Life has super cute prints and patterns. It even has a satin option if you want to bypass the cotton scarves, which can dry your hair out. Don’t sleep on your local beauty supply store though for something cheap. I know I’m supposed to be morally opposed to wigs and weaves because many feel their popularity is tied to a Eurocentric standard of beauty that only deems long, straight hair beautiful. But they make all types of weaves. You can get you a big afro if you want one. I say, do whatever makes you feel beautiful as long as it comes from a healthy place. Properly maintained weaves and wigs can be great protective styles because your real hair is underneath your weave of choice. My girlfriends who’ve become sew-in experts over the years recommend using human hair and having your beautician use netting to cover your natural hair, so it can still breathe. Make sure the hair and cornrows aren’t applied too tightly. “A good rule of thumb is if you can feel the tightness of your braids when you raise your eyebrows, the braids are too tight,” my friend Natalie Mitchell said. Also, be sure to take your sew-in out in six to eight weeks. Give your hair a break and a good wash and condition between sew-ins. I love my fro when all else fails. It’s as easy as easy can get because it’s my hair’s natural state. I get the moisture my strands need from the shower humidity, seal it in with my favorite oil, comb it and shape it. I live by Kreyol Essence’s chocolate Haitian black castor oil, by the way. It’s so thick it lasts me a full year because I only have to use a few drops every two days or so. Coconut oil is my daily oil of choice. I can’t promise to wash my hair once a week. I’m really good some months, and bad others, but I can promise to wash it biweekly. When I do, I style it in a twist-out. It’s a 1.5-hour process for me. Before I wash my hair, I wet it, heavily oil the strands with cheap castor oil and detangle it really well with a wide-tooth comb. Then, I hop in the shower to wash and condition it, usually using Shea Moisture products. I apply coconut oil and my good chocolate castor oil to wet hair then start the twisting process. I grab a section of hair, apply Eco Styler Argan Oil gel and comb through it using a Denman brush. I then twist the hair and repeat the process until my hair looks like a bunch of thick Twizzlers. I pin curl the twists with bobby pins and wear it in knots for two days. So if I twist and pin my hair Monday after work, I take it all down Wednesday morning. Be sure to put a little castor oil on your fingertips before untwisting. Fluff and carefully separate until you get the look you’re going for. Skip the twist-out and just pin curl your natural hair. I love this style. It’s how I wore my hair for my wedding and for the birth of my son. It’s quick, like 20 minutes quick, and it features my natural hair soul mate, the bobby pin. To pin curl your hair, first grab a small section and start at the end of your strands. Using one hand, put the hair between your pointer finger and thumb. If you were a Nupe, this would feel like second nature. Now hold your free pointer finger just above your working pointer on the opposite side of the hair. Roll your bottom pointer upward and your other pointer around it, and keep rolling until you hit your scalp. At that point, scissor a bobby pin through the curl to pin it down, and you’re good to go. 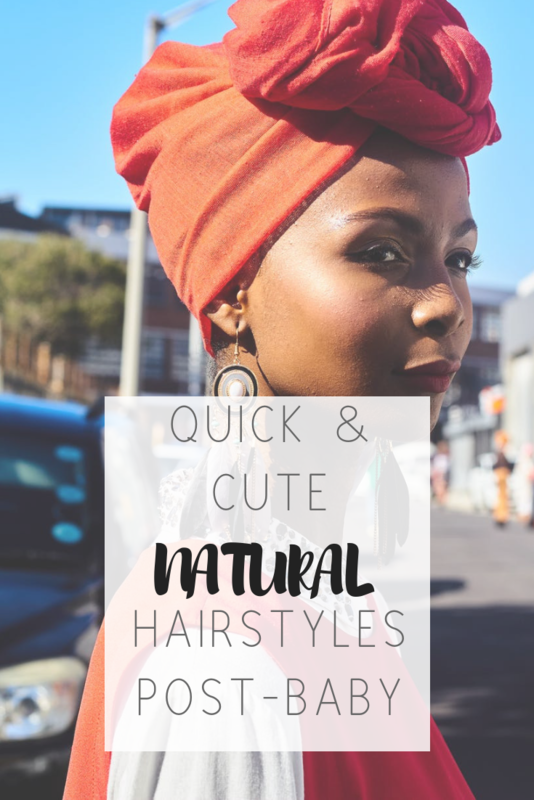 5 natural hairstyles to help new moms live ‘Nappily Ever After’ | Credit: Raim Matau / Pexels | Don’t chop off your 4C natural hair, mom. Learn how to style it. Learn quick and easy hairstyles for black hair that make you feel beautiful. Girl, I love you but no way you have the time and energy to individually twist and then take down a twist-out! I have nary a single child and I get exhausted halfway through ??? That scarf life is right on though! I totally agree with you dont have to do the "Big Chop" to get your hair back healthy again. The headscarf is the essential to get me through the door faster. I love these tips. Thank you. These hairstyles are cool. Thanks for sharing ♥️ ♥️ By any chance you are interested on doing collaborations, you can check out the collaborations portal of Phlanx.com and connect with amazing brands! I love this post because that is exactly how I felt about the movie. I keep my hair short and will go from relaxer and back a couple times a year. Headscarves are my jam. I love this post and couldn’t agree more with not having to cut your hair off like a mad woman in order to find your identity.